The Jakarta Corruption Court once again delayed on Monday the reading of final verdict of Indonesian Democratic Party of Struggle (PDI-P) politician Izedrik Emir Moeis due to his ill-health. The court first postponed the reading of the verdict last Thursday after Emir was rushed to hospital due to a heart problem. “The reading of the verdict has been rescheduled to April 14,” presiding judge Matheus Samiaji said on Monday. Emir was on trial for his alleged role in a bribery case involving a US subsidiary of France-based conglomerate Alstom. He is accused of accepting US$423,985 in bribes from the company in exchange for helping the company to secure the construction of a coal-fired power plant in Tarahan, Lampung, in 2004. “It is suspected the money was a bribe because the defendant played a key role in helping Alstom win the Tarahan power-plant tender,” said Corruption Eradication Commission (KPK) prosecutor Irene Putri, reading from Emir’s indictment at the Jakarta Corruption Court November last year. During the tender, Emir was serving as a member of the House of Representatives’ Commission VIII, which at that time oversaw energy. 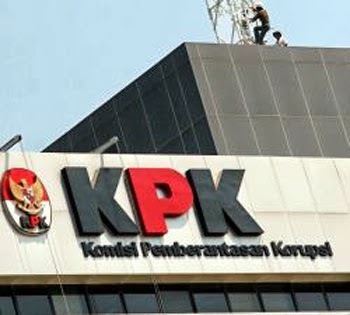 KPK prosecutors have demanded a four-years-and-six-month sentence, as they deem him to have violated multiple articles of the of the 1999 Corruption Law.